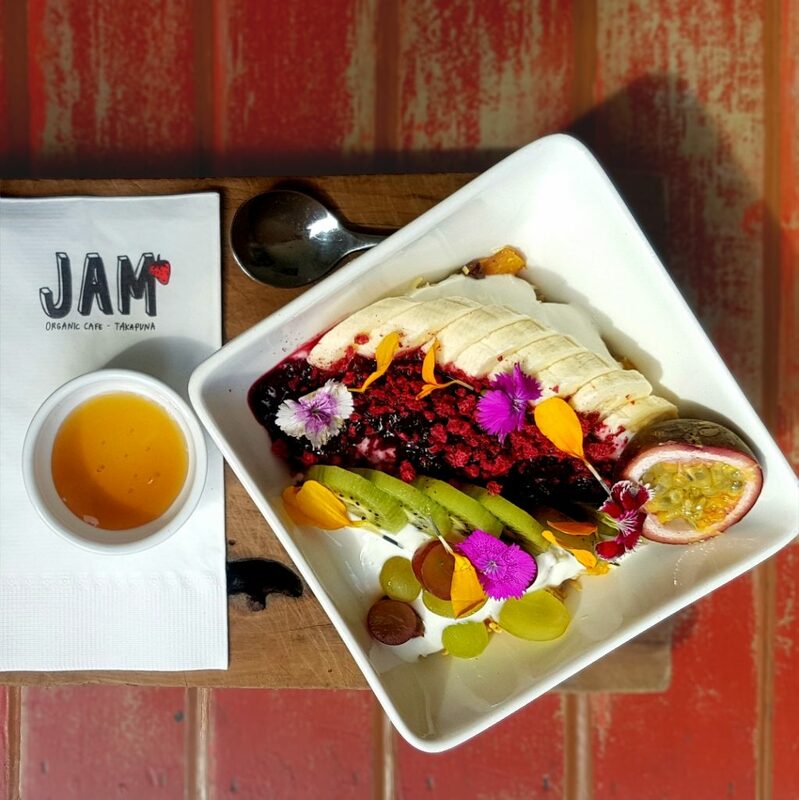 ﻿ BIRCHER MUESLI from Jam Organic Cafe - I AM Co.
We love any excuse to visit Takapuna and Jam Organic Cafe is that perfect one, it’s one of Auckland’s best organic cafes. The friendly cafe is located along Hurstmere Road and opens onto Hurstmere Green. Because the sun is always shining in Takapuna, Jam Organic offers plenty of outdoor dining—and we all know good food tastes even better when it’s enjoyed in the sun! Place 1 cup in a bowl. Top with 2 heaped tablespoons of Raglan Coconut Yogurt and 1 heaped tablespoon of mixed berry couli. Add banana and whatever fruits are in season. Drizzle with manuka honey or for vegan friendly option use pure maple. Mix will last a week.